My friend/coworker live in the same neighborhood, and we tend to carpool on weekdays. We noticed recently that there are a few places near the hospital by my apartment and in the parking deck by the office where water collects after a long rain, but it doesn’t go away. The pools of water simply worsen when the weather is wet, and hang out until the next rainfall. Naturally, I’ve landed on an explanation for the phenomenon… the Wassergeist. 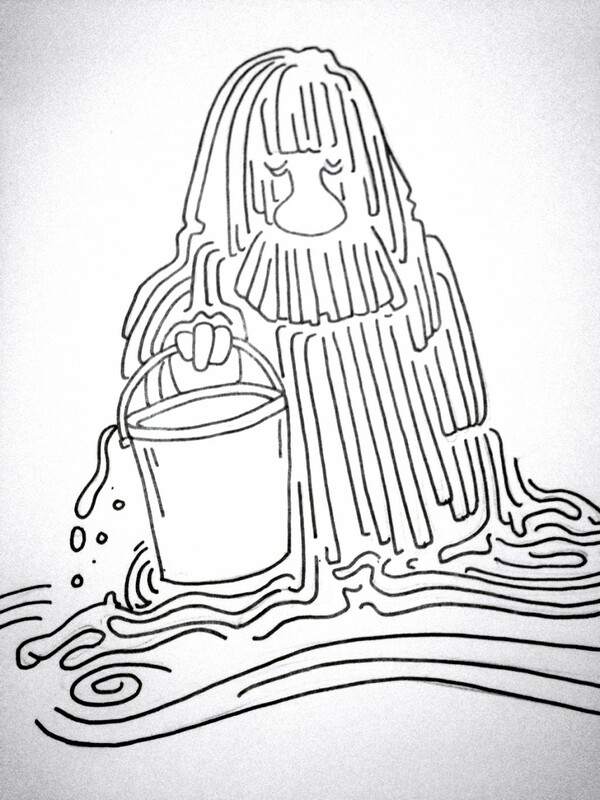 With his mop-like thready locs and a bucket of water, he drags along… creating puddles all over the metro area. He’s a treat for children everywhere, awaiting his gifts in waterproof boots.